The Federal Reserve System Board of Governors is the regulatory body that governs the functions and operations of the Federal Reserves. The member are appointed by the President and confirmed by the Senate. 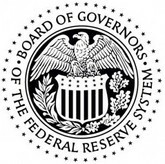 The Federal Reserve System Board of Governors consists of 7 members. Their term is for 14 years after which there would be another round of selection for a new committee. They represent an independent federal government agency and do not receive any funding from the Congress. Apart from overlooking and supervising the functions of the US Federal Reserves Banks they also look over the US banking system in general. There are currently 0 consumer reviews about The Federal Reserve System Board Of Governors available. Share your review. Please take a note that you are about to post a public review about The Federal Reserve System Board Of Governors corporate office on CorporateOffice.com. This review will be public, so please do not post any of your personal information on this website. If you would like to contact the corporate offices of The Federal Reserve System Board Of Governors, please use their contact information such as their phone number, website, and address listed above to contact them. However, sometimes staff from The Federal Reserve System Board Of Governors headquarters do read the reviews on this website.